Fujifilm’s FDR D-EVO digital radiography (DR) detectors are available in six configurations, so you can select the flat panel x-ray detector that fits your patient’s needs every time. For small anatomy and exams that require lower dose, the 24x30cm CsI (C24i) produces detailed, high resolution images with unbelievable dose efficiency. When maximum field of view is necessary, rely on Fujifilm’s 17×17″ digital detectors, available in cesium or gadolinium. Fujifilm’s premium CsI DR detectors combine the inherent dose efficiency benefits of cesium with Fujifilm’s patented ISS technology to deliver ultra-sharp images with increased detail and low noise. 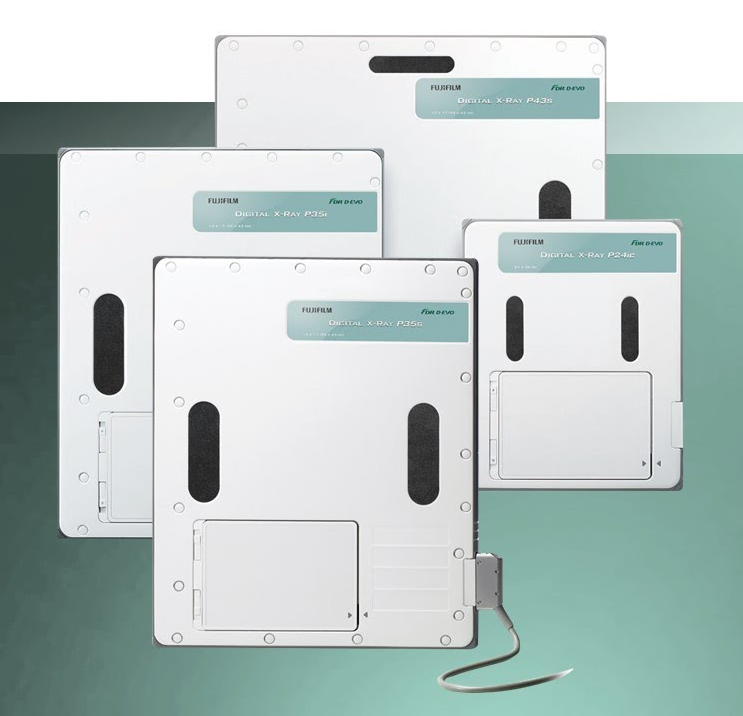 Fujifilm’s gadolinium digital x-ray detectors are lightweight, highly durable and cost-effective. Using Fujifilm’s proprietary ISS technology, FDR D-EVO GOS detectors offer exceptional images with high DQE that compares to the performance of conventional cesium detectors. FDR D-EVO flat panel detectors easily convert your existing x-ray equipment to DR, allowing you to continue performing everything from routine upright and table exams to cross table, and just about any free-positioning exam, with ease. Lightweight and slim, Fujifilm’s DR detectors easily fit standard cassette holders and bucky devices with no modifications, quickly making a room DR-capable with incredible versatility and the capacity to produce exceptional images.